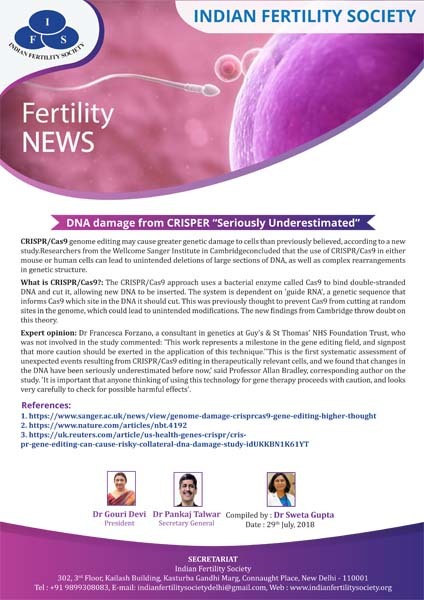 It is a matter of great pleasure to share our monthly IFS E-Pathshala “Fertility News” wrap up on the latest research and technological advances. This will be a synopsis of recent research article/breakthrough study in the field of reproductive medicine and embryology. This will help all of us to be aware of recent developments in spite of our busy schedule. It will be circulated once a month. Hoping you all will like this and together we are able to make our journey to academic excellence more convenient and productive.